People are increasingly choosing to do yoga outdoors, among towering peaks and deep fjords, rather than in a gym. "Doing yoga out in nature is something completely different than doing it in a gym. It becomes a total experience with that something extra," says Frida Jasmin Sende. 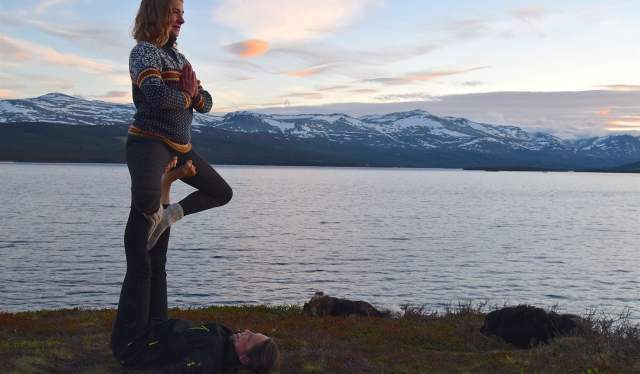 The yoga instructor, who specialises in the Hatha branch of yoga, is holding courses this summer in the mornings along with evening yoga sessions at Gjendesheim and Gjendebu at the foot of Besseggen. The morning class is meant to be refreshing and limbering for hikers who will be climbing the mountain, while the evening class helps those coming back from a demanding walk or hike to recover. Sende was educated in India, the country where Yoga originated in ancient times. Yoga, which is linked to both Hinduism and Buddhism, functions as everything from a strenuous form of exercise to a limbering meditation technique and has become extremely popular in recent years. More and more yoga instructors are offering sessions with nature as the backdrop. Sende believes there are several reasons for this. "Norwegian nature, for example, is totally unique. It's pure and wild at the same time, and hiking in the mountains is itself very meditative. I personally find that the mountains and the water enhance the yoga experience and make it easier to get in touch with yourself. 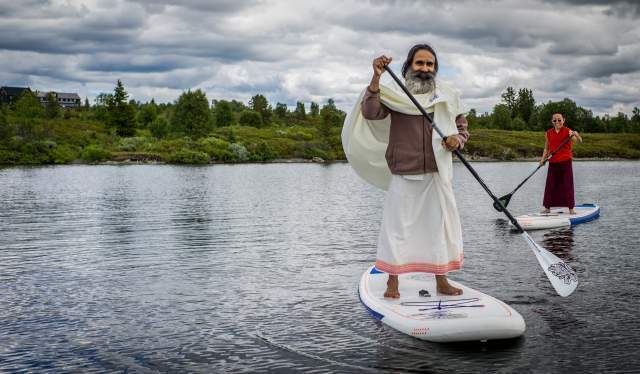 In the same sense, you become more able to immerse yourself in and enjoy experiencing the beautiful nature here following a yoga session," says Sende. A meditative form of exercise that originated in India in ancient times. This week Norway's Yoga Festival is being held at Nøsen in Vestre Slidre municipality, just a couple of hours away from Gjendesheim. 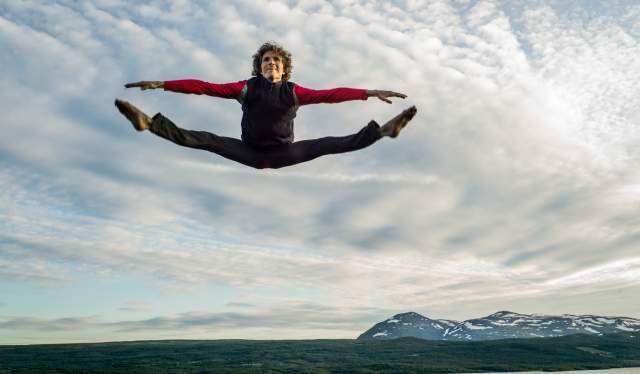 Alexander Medin, general manager of the festival, is not surprised that several Norwegian operators are choosing to offer yoga sessions as a package in combination with nature-based experiences. "Norwegian nature is pristine; it is pure. It awakens the senses; it provides peace of mind and well-being. That's exactly the same thing yoga does. Yoga opens a centre within us where there is peace and harmony, and it helps us become open to natural tranquillity," he says. Medin has dedicated 20 years to studying and practising the Ashtanga branch of yoga, and he has trained as an instructor in England and India. "I think people often seek out nature. Nature walks and hiking are all about rebalancing oneself, connecting to something greater than oneself. The essence of yoga is inner balance and harmony. This is precisely why yoga and nature go very well together," he says. 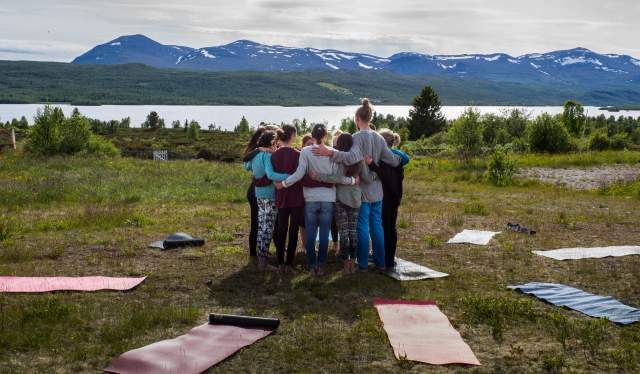 Therefore, it is perhaps no wonder that "yoga-retreats" are popping up like mushrooms in places like Romsdalen, Vest-Agder, Northern Norway and Møre og Romsdal. "It also doesn't matter whether you're doing yoga in a roundabout or at a mountain lodge," says Medin. "But, it's definitely easier to attain an inner perspective when you're immersed in nature." In the newly opened Tingvoll Eco Park, you can eat the “world’s best” cheese while learning what really goes on under the ground.